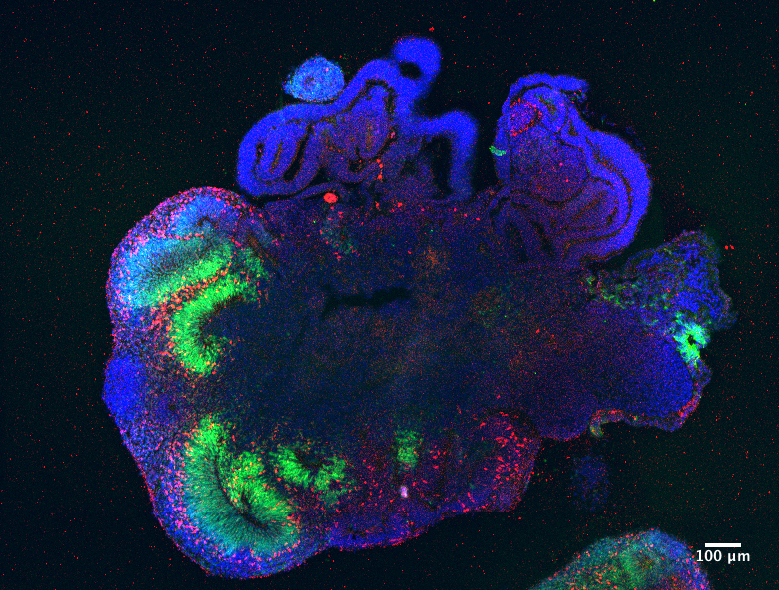 What is a "brain organoid" and why do we need it? Researchers have already grown "cerebral organoids" in labs — clusters of cells that self-organize into small brain-like structures called "brain organoids." Now "forebrain" centers in these clusters of cells appear to create neuron timing and differentiation just as in an actual brain. Development of the human brain from just a few cells into a thinking organ is one of the great mysteries of biology. In the past decade, Juergen A Knoblich PhD, from the Institute of Molecular Biotechnology in the Austrian Academy of Sciences (IMBA), Vienna, Austria and his team have pioneered brain organoid technology to understand the brain development process. Knowing normal organoid development is prerequisite to attempting to model any human developmental disease. How close to reality are brain organoids? Which molecular mechanisms control the remarkable self-organization of normal tissues? Knoblich and colleagues can now help explain these organoids with their published results in The EMBO Journal. The neocortex is the part of the mammalian brain involved in higher-order cognitive function. It expanded substantially during the evolution of mammals, and is highly complex in humans. Orchestrating the building of such an intricate system relies on precise interactions between different processes. Forebrain organizing centers play a key role in orchestrating the development of our neocortex. Organizing centers secrete factors that work long-distance inducing neighboring tissue to generate new cell types. In normal brain development, an organizing center called the cortical hem lies just under the brain's crown — while the antihem is opposite of the cortex located at the right and left side of the brain. Both organizing centers were also found in organoids. The cortical anti-hem is positioned as the mirror-image of the cortical hem. found in the ventral-lateral portion of the pallium (the layers of gray and white matter that cover the upper surface of the cerebrum). As the brain grows, cells are added in a precise order. Cells formed early will differentiate into neurons found within the inner layers of the cortex, cells born later migrate further away, and glial cells — which surround neurons and provide support and insulation between them — are added towards the end of developement. Finally, nerve cells grow long protrusions to connect this complex network. These processes are found mimicked in brain organoids, stressing the value of organoids to investigate this broad array of brain development processes. Knoblich's team has already expanded their organoid research to begin growing them from patient cells — in order to investigate the basis of developmental disorders. However, thoroughly knowing normal organoid development is required before researchers can identify or interpret any aberrations occurring in a model of developmental disease. Cerebral organoids recapitulate human brain development at a considerable level of detail, even in the absence of externally added signaling factors. The patterning events driving this self-organization are currently unknown. Here, we examine the developmental and differentiative capacity of cerebral organoids. Focusing on forebrain regions, we demonstrate the presence of a variety of discrete ventral and dorsal regions. Clearing and subsequent 3D reconstruction of entire organoids reveal that many of these regions are interconnected, suggesting that the entire range of dorso-ventral identities can be generated within continuous neuroepithelia. Consistent with this, we demonstrate the presence of forebrain organizing centers that express secreted growth factors, which may be involved in dorso-ventral patterning within organoids. Furthermore, we demonstrate the timed generation of neurons with mature morphologies, as well as the subsequent generation of astrocytes and oligodendrocytes. Our work provides the methodology and quality criteria for phenotypic analysis of brain organoids and shows that the spatial and temporal patterning events governing human brain development can be recapitulated in vitro. three-dimensional organization of the human brain.